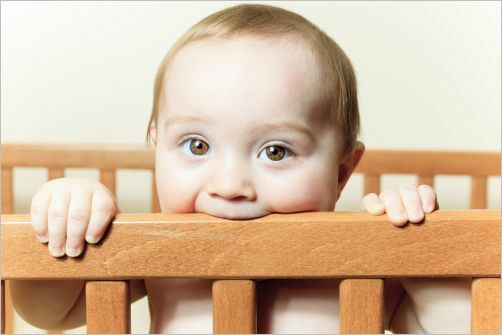 If you’re dealing with toddler biting, you should be aware you are not alone. Biting is very common among toddlers, and it doesn’t mean your toddler is some sort of sociopath who isn’t fit company for other children. Biting is obviously problematic behavior and needs to be dealt with, but it’s also a natural phase as your toddler learns the boundaries of touch, feel, and communication, discovers how to share his feelings, and gets used to his new teeth. •	Be experimenting—what happens when I bite? •	Be overly tired – exhaustion means that anything your child knows about appropriate or inappropriate behaviors goes out the window. When your toddler bites another child you may feel extremely embarrassed and ashamed, and your gut reaction may be to overwhelm your child with harsh criticism. That usually isn’t helpful. Your child isn’t biting because he is a bad child, or because he hasn’t been properly trained; he is just going through a discovery phase and learning about appropriate – and inappropriate behaviors. Tell your child his behavior is wrong; tell him biting hurts. Sympathize with the hurt child and encourage your child to sympathize too; if the victim isn’t too traumatized, maybe your toddler can give an “I’m sorry” hug or kiss. But save the more extensive heart-to-heart talks on biting for a time when you and your child are not center stage. If your toddler’s biting is not just an isolated incident but seems to happen all the time, you need to work with your child and find out what is going on. Biting is more a symptom than a root problem. Watch your toddler when he plays; don’t leave him unattended with other children. If you can sense biting might be about to happen, distract him. Pay attention to the circumstances surrounding the biting incident. Is your toddler being bullied? Is there one child your toddler just can’t stand? Is your toddler just excited; overwhelmed, perhaps, by too much going on? Does he bite whenever he misses a naptime or hasn’t slept well at night? If your child bites when he’s tired, work on giving him enough sleep. If he bites when he’s excited, do what you can to keep his stimulation level down. Call him out for peaceful ‘positive time-outs’ when he’s in the middle of a loud group of children. If your child is being bullied or really doesn’t get along with a particular child, encourage your child not to play with that child and try to arrange things so they won’t be thrown together. Your child shouldn’t bite, but no toddler should have to live with the overwhelming frustration of a bully either. 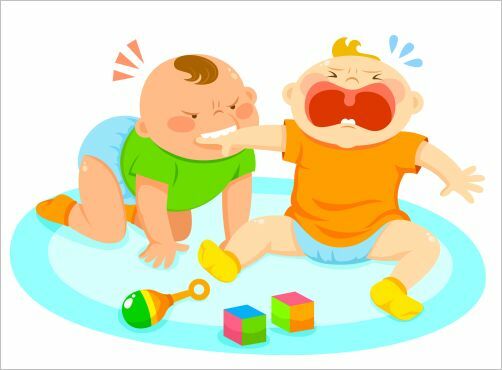 Talk with your child about biting; not in an angry, judgmental way, and not reminding him of his past sins, but simply explaining that biting hurts, and we only bite things, not people. You might be able to find some helpful storybooks in the library that deal with the ‘no biting’ theme in a gentle way. Remember that biting is only a stage—the vast majority of biters have outgrown it by the time they are three and a half. Your child will get it, eventually. Till then, be patient, and try to help him learn to navigate this complicated and overwhelming world.